Over the last several years, Rodman has designed, built and delivered different types of catamarans, not only for passenger transport but also for other purposes such as hydrographic, research or offshore windmill support catamarans. At the end of 2015, Rodman and Trasmapi signed a contract for the design and build of a new ferry to operate on the Ibiza-Formentera route, starting this summer. 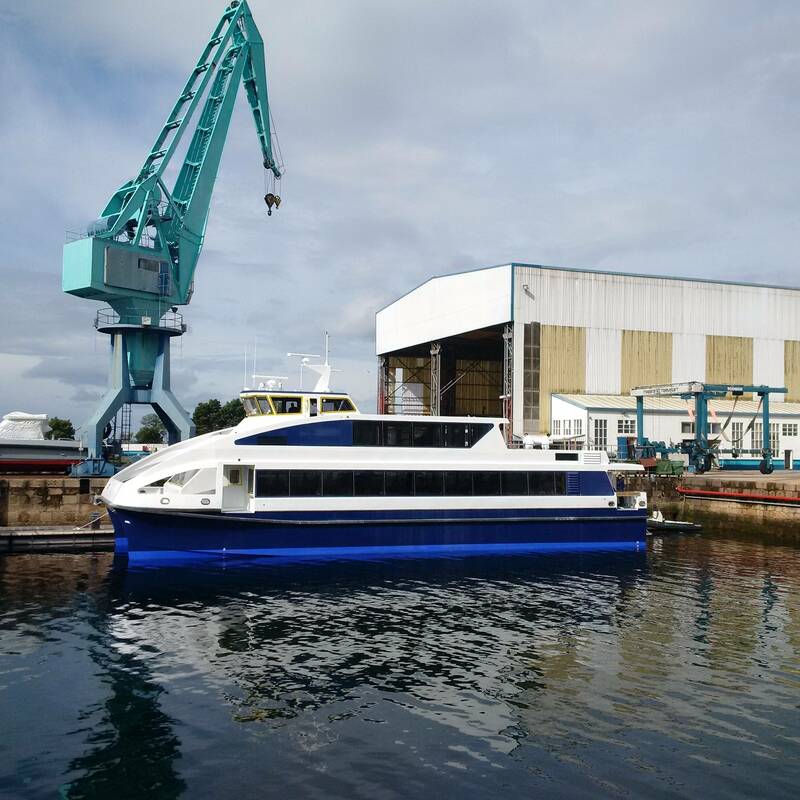 The catamaran has been designed and optimized specifically to operate on this route and to provide clients with improved seaworthiness and boarding conditions. The new Trasmapi’s fast ferry has been developed from efficiency and sustainability values. This is the first high speed vessel built in Spain under HSC 2000 Code, certified by Merchant Marine Authorities and Lloyd’s Register Classification Society, and fulfils the highest requirements for pollution prevention. The vessel has been launched, and the shipyard has performed all requested trials before delivering the catamaran to the owner by the end of May.